I am not a craft beer expert, but I know what I like. Living in Denver, it seems like we are at the epicenter of an explosion of creativity and flavor that seems to know no bounds. People here really love well-made beer. So the more I enjoy craft beers, the more I realize that there is much to learn. And the more I learn…the more I enjoy. In October, I had the pleasure of spending a day at the Great American Beer Festival in Denver, sampling craft brews from all parts of the U.S.
Three days later I boarded a plane for Italy for a business trip, intent on learning more about its fast-growing craft beer movement, the world of birra artiginale. My research was more casual than comprehensive. With little time available, there are so many producers I did not see. My casual research has opened my eyes (and my palate) to something truly extraordinary. Italy has always excelled in things both artistic and culinary, and its approach to craft brewing is no exception. The producers I met are creating something that is both characteristically Italian and unmistakably world class. As with America’s craft beer movement, these artisans are making their start from small facilities and humble beginnings. You can sense that some of these visionary producers are going to do great things. The prevalence of craft brewers changes with the geography of Italy, with just a few in the south and an abundance in the north. In every region, they promised there would be more coming. In Tuscany, I stopped by Birrificio San Quirico and was happy to find it open and its birraio (brew master) hard at work. They produce a double malted English pale ale called Giulitta and a high-fermentation blonde called Iris. I sampled both and found them to be well-constructed and drinkable. 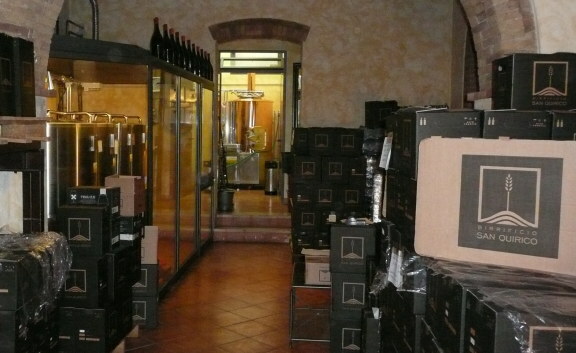 Roughly half way up the boot is Umbria, which has several emerging and dynamic brewers, and great enthusiasm for beer. I first visited Birra Khamen, located in a countryside area on the outskirts of Perugia. Andrea Valigi was there with his mother, who manages the small shop on the premises. Their family business includes beer making, meat processing and the sale of delicious artisan food products of the area. While I waited for Andrea, his mother gave me some samples of salsicce, a tasty Italian sausage. He then took me through his small brewery, which makes five types of beer. He explained that hops thrive mostly in countries north of Italy, and so most are imported from the U.S., Germany and other European countries. One of their brews, Jewel, is made entirely from U.S. hops. 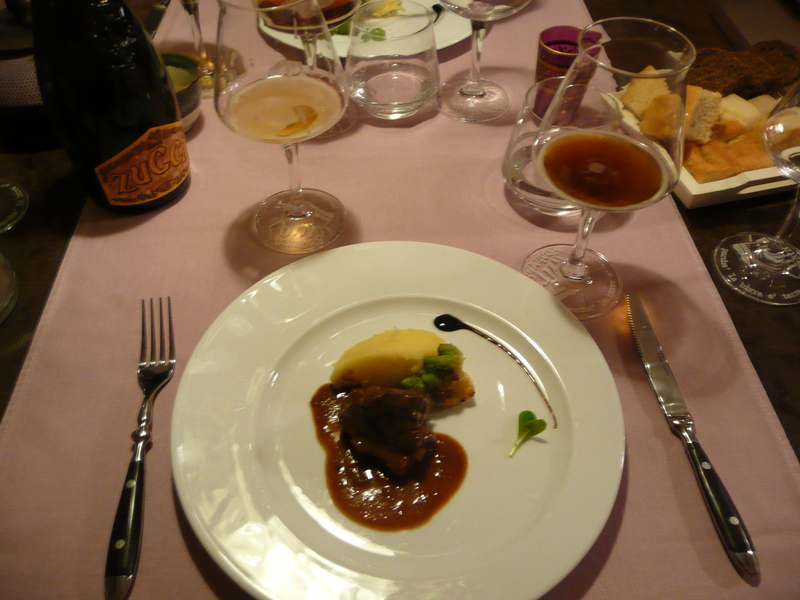 Birra dell’Eremo is the dream of Enrico Ciani and Geltrude Salvatori Franchi. Located near Foligno, it has been in operation only about a year, and is already exporting broadly to Australia and throughout Europe. Geltrude cheerfully showed me their thriving operation, which consisted of several 500 liter tanks making six different styles. She first gave me a taste of their IPA, which I found to be modestly hoppy in the manner preferred by Italians (who have not yet fully accepted the more bitter aspects of the brew). This was followed by their blonde beer, which turned out to be delicious and easy on the palate. That evening, we enjoyed dinner with friends at Il Giardino, on the banks of Lake Trasimeno. By coincidence, it was the night the restaurant was featuring a tasting (degustazione) of San Biagio beers, produced also in Umbria. There was a ‘sommelier’ who went from table to table, describing the beers and recommending appropriate pairings. I ordered a strong ale to taste, but he instead steered me toward the pilsner, which turned out to be a great match for pizza. 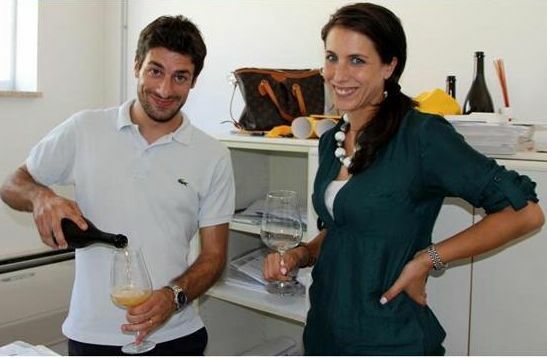 From time to time, he would come by and refresh the glasses of each guest from the stylish 750ml San Biagio bottles. From Umbria, our journey continued to the far north of Italy, to the region of Piemonte. This is an area famous for great wines like Barolo, and also for amazing craft beers. The small and unassuming village of Piozzo is home to Baladin, maker of more than forty types of craft brew which are available throughout the world. We had the pleasure to stay at Casa Baladin, an artsy renovation of an old inn, offering wonderful rooms and a first-class restaurant. Their specialty is a six course meal with an appropriate beer pairing with each course. 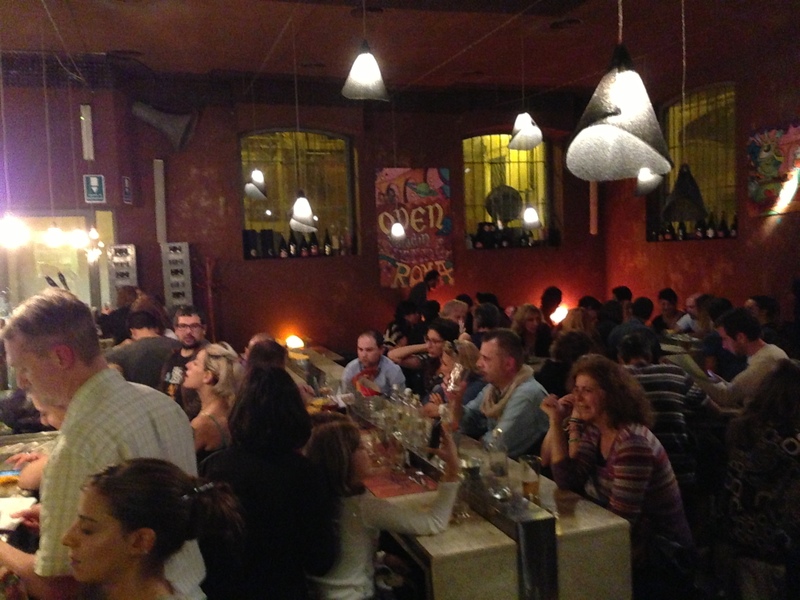 Our last leg took us to Rome, where we made a reservation at Open Baladin, the most famous and best-stocked brew pub in Italy. In addition to a full tap of Baladin products, they also offer a big selection of alternative craft brews from throughout Italy. The restaurant menu has a choice of cuisine to match to their beers, including the most unusual and delicious hamburgers we have found in Italy. I’m hoping to do a more comprehensive craft-beer only tour of Italy some day soon. Maybe you’d like to join me?